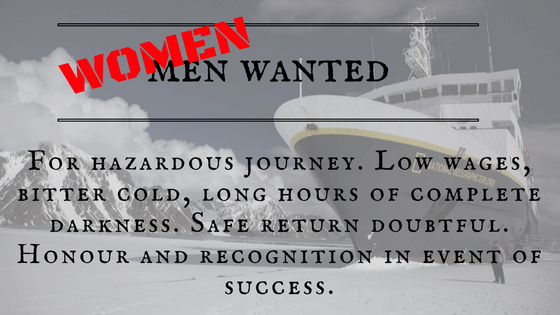 The legend says that no less of 5000 applicants replied to the add above, wanting to join Ernest Shackleton famous Imperial Trans-Antarctic Expedition. I would probably have replied, too. Wouldn't you? Of course, we love adventure! The problem is that, were you a woman, most likely your application would have been disregarded. In 1914, for sure… Probably you wouldn’t even have dared to apply! Imagine! What would your father have said! And your friends at the knitting ladies club! That was 100 years ago, of course. Nowadays… Well, if you sneered a bit at the knitting comment, that’s one of many signs that things are finally changing, and prejudices that were the norm not so long ago, now feel unbelievably anachronistic. Yeah, have a look at the next photo, or read this paper. Yeah, times have changed… But still, today, women are greatly underrepresented in positions of leadership. This is very clear in STEM careers, where, despite boys and girls showing the same interest in Science at early ages, a breach between genders grows as the careers advance. We need more female leaders! 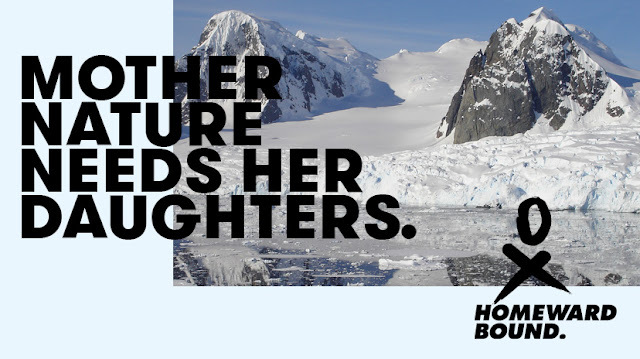 In a brilliant move, Fabian Dattner (leadership expert and partner at Dattner-Grant) and Jess Melbourne Thomas (Antarctic Marine Ecological Modeler) have designed a program that will put together, in 10 years, a network of a thousand highly prepared women. And the last stage of the program consists on an amazing leadership-course/expedition to Antarctica! Wouldn’t you like to participate in something like that? Just imagine your transformation after such an experience! But how do you get a spot on the ship? 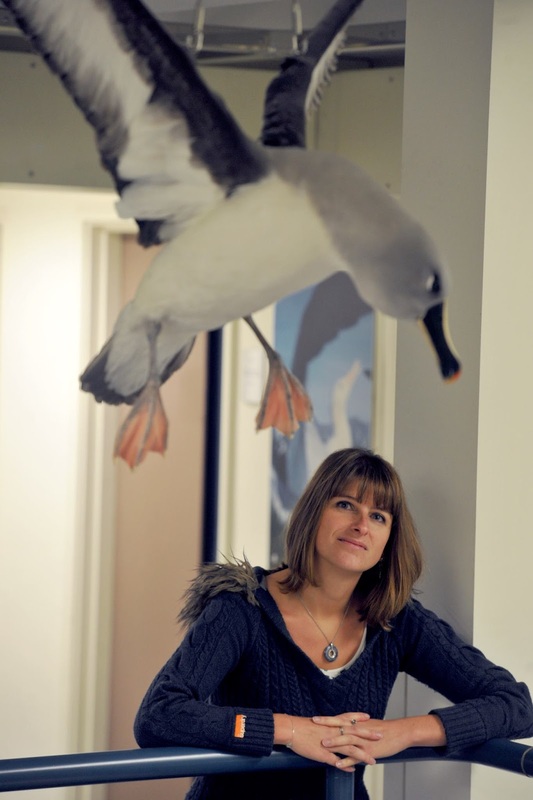 Deborah is a French biologist who got her PhD in Population Biology working with albatrosses (Thalassarche sp), some of the coolest and largest flying birds ever! 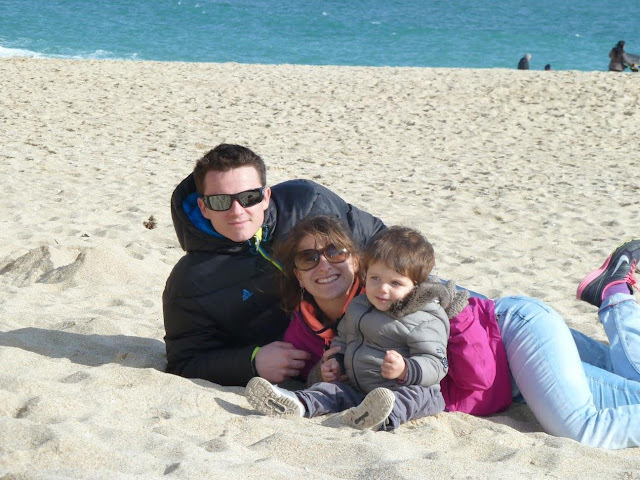 She is currently working as a population modeller in Cambridge, for the British Antarctic Survey. There, she analyses extensive data sets to better understand the complex mechanisms driving endangered species closer to extinction. Her work helps nature conservation agencies to make better decisions. On top of all that, she is also the mom of a lovely kid and, despite the known hardships of parenting, she finds the time to go out and raise awareness in the general public, sharing, through Science communication, the benefits of a more sustainable way of living. 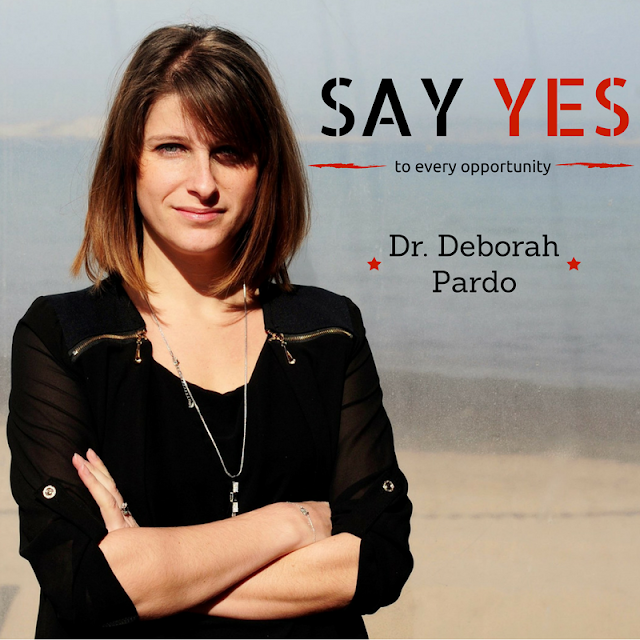 As you can see, Deborah was pretty awesome to begin with, so who knows where she will get when she comes back from this amazing journey! Hi Deborah! How did this happen? Could you tell us how you found out about the program and how you got selected? Well, it happened during my maternal leave. A friend told me about it and I thought: Hey that sounds exciting, I wish I could do it! And then I thought… well, why not me? I was in a critical time in my scientific career, trying to find a permanent position, as many other postdocs. I was feeling many of the challenges women face in this situation, so, when I read about Homeward Bound, realized that it could be a fantastic opportunity, not only to improve my own future, but also to help other women in similar situations. It was quite the challenge! But I tried my best, made this video… and they chose me! Wow, I would definitely select you! Did you get any feedback from the organisers? What do you think made you stand over the rest of the candidates? First, I tried to be natural. I am genuinely and enthusiastically interested in Science, and deeply concerned about the future of Earth, so I let all that show in the video, the way I would tell a friend, or perhaps a person I had just met, who wanted to know me better. I think being a young mom probably had some influence too. Having a baby multiplies the challenges a woman must face, and it is probably one of the most common reasons for the gender gap in Science, and in many other professions. Finally, the Homeward Bound project started in Australia, but soon they decided it would be better to make it a global project. At such, I guess they were interested in diversifying the participants as much as possible, so I think being from France helped my candidacy. If you are from a developing country, or one whose official language is not English, I encourage you to apply! Do you need previous experience in Antarctica to participate in the program? Absolutely not. I was lucky to have experience, and my work happens to be related to conservation in Antarctica, but women with all kinds of backgrounds have been also selected: Astronomers, psychologists, medical doctors, veterinarians, park rangers, mathematicians, teachers… and also students! Right! Could you tell us a bit about your shipmates? Have you met them yet? They are all amazing! We are in daily contact on different online platforms (Slack and Facebook), and have an international call every month with 40 people (!) with the webcam (Zoom). We are already working on scientific matters related to the impact of human actions on the environment, and on solutions to that in one way or another (social sciences, medicine, green startups, upcycling, alpine plants, agriculture, weather forecast for the army, environmental education...). The youngest participant just started her PhD, and the oldest is over 50 so we have a range of experience and careers. We are from 15 different nationalities. The bulk of the crew is from Australia, as the project was originally from there, but there are participants from Finland to Costa-Rica, going through NZ, USA, Canada, UK, South Africa, China... We are two French, the other one is half Australian and living there. We have received training to work in teams and have designed small group projects to move our subject a bit further, to start learning about leadership skills and provide a foundation for the women that will be part of Homeward Bound during the next 9 years of the program. These small projects encompass a range of disciplines to engage a maximum of people to the cause of women in leadership and the environment altogether: Educative, Corporate, Political, Academic and Media. For instance I am part of a project looking at the role of women in environmental politics and we have found that there is a positive relationship between the environmental performance of countries, whatever their GDP, and gender equality! 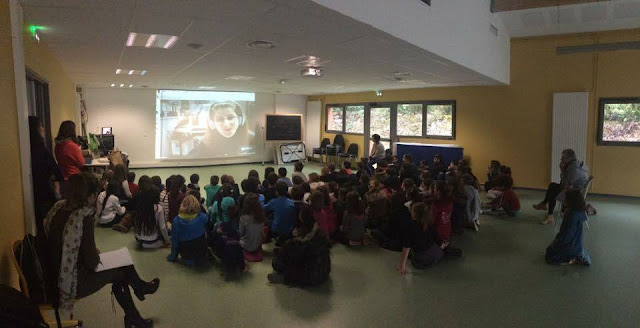 I am also involved in many educative projects in Canada, UK and France and I am designing one with one of my sponsors in Provence using the albatross symbol to teach kids what they can do at their scale that together would make a huge difference. I read that the faculty in charge of your on-board training is going to be awesome too… What are some of their credentials and what are they going to teach you? Although we have been already learning and working for several months, I am certainly looking forward to the on/board training! First, a state of the art leadership and strategic planning training, delivered by world renowned experts in leadership and coaching: Julia May, Marshall Cowley, Kit Jackson and Fabian Dattner. The aim of this first stage is to transform our leadership mindset and help us visualize our power to influence and improve the world. The second stage will be focused on Science, using Antarctica as our background (literally!). We will aim our efforts towards the understanding of climate change and its threats to our planet. 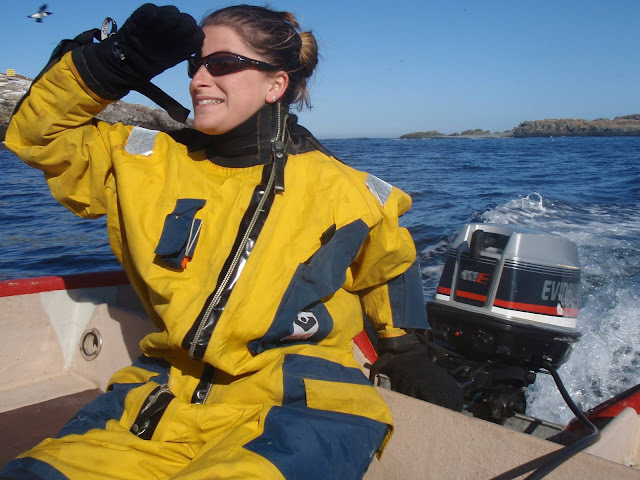 The organisers have arranged a diverse list of women in polar, climate change and conservation science, from a range of backgrounds/nationalities/career stages. Finally, the last stage will strengthen our ability to articulate, innovate and execute strategy: We will work on the projects we have already started, and help each other to make them real. All of this training must be really expensive… How is the program funded? Most of the time, energy, course materials, and Antarctic clothing have been donated by various sponsors! The rental of the ice-breaker ship is self-funded by each participant, Let me tell you directly with this other video how I raised 20 000 euros! What do you see yourself doing in 5-10 years? How has Homeward Bound changed your mind and motivation so far? By getting involved in this crazy project I realised that so much can be done! And it is a good thing because so much has to be done! Our biodiversity, our environment, even our economies, social and political systems are failing! everything is connected, and we have about 30 years to act before planetary boundaries are reached and the environment gets out of control. Many independent sources agree that more women in leadership now are one of the main solutions to counter this problem, because of their connection to people and to the environment, and their different way of leading! More specifically, we need more women with a scientific background, with powerful skills like evidence-based decision making, which ensures more rationality and objectivity in leadership. The challenge of raising 20 000 euros, noticing a huge interest of many people in my path and skills, the exciting experience of interacting with the media, and even starting my own YouTube channel has gotten me totally out of my comfort zone. It has been so rewarding! I realised that people really value scientific skills, and that there is a crazy amount of energy we are ready to devote to the causes that matter to us, as the environmental movement and the mindfulness movement are growing and get connected. I always felt a passion to work with animals, I loved to collaborate on the red list of endangered species with my population modelling skills, doing amazing fieldwork on albatrosses. This passion is now shifting to try and convert a maximum of normal people to a more sustainable way of living. I am tired of having to move every second year, I am tired of not knowing if I will ever get a permanent position, I am tired of sitting in front of the computer all day, I am tired of enduring 90% rejection rates to any journal or grant scheme, I am tired of being part of teams that don't collaborate enough because everybody is too busy doing their own stuff. I don't know what I will become. What I know is that it will be something building on my science background, more people-related, and potentially even being my own boss, unless I get lucky and stay in the academic system I have worked so hard to get through. I feel that Homeward Bound will give me the answer. Some readers are younger and might feel they are not ready yet for this stage. If you were 20 years old again, what advice would you give to yourself? As a little girl I was passionate with Nature and animals. I wanted to understand them, and I wanted to do like in TV documentaries (I wanted to shoot a tranquilizing arrow on a giraffe from a helicopter!). At 15 I did an internship at a veterinary practice and I hated it! Most of the work consisted on sterilizing animals and taking care of fat pets all day. They were not real animals, just human toys! I wanted wild things, real animals, so I went to the university in Marseille to study ecology. It was quite disappointing at first: the studies felt very general, we were several hundreds, and most of the students were very lazy and un-motivated, even bragging about that. I wanted more, so I contacted all researchers in the ecology lab, asking for the possibility to work with them during the summer holidays. Two researchers replied and I got to work with them on insects and seabirds in Port-Cros national Park . It was incredible to finally see the reality of a researcher job, and the beauty of real, wild animals. In my third year I went to Uppsala university, in Sweden, for an ERASMUS program to learn English and discover another way of working. This was another revelation, as I met people from 56 different countries and discovered much more efficient ways of working, became more collaborative and built more self-confidence. After that I got selected for one of the most prestigious master programs in Ecology and Evolution in France, in Montpellier, it was really hard but really good! 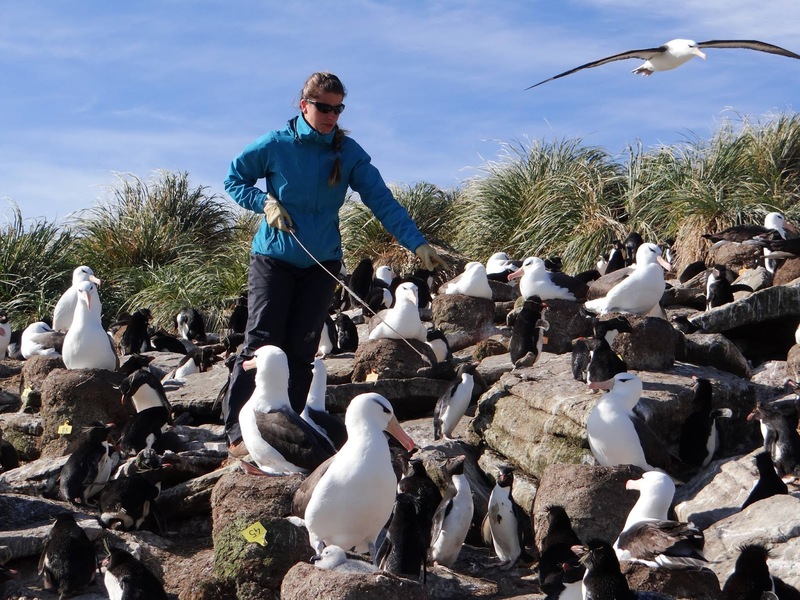 There I started specialising on demography and was lucky to get a PhD grant right after, from Paris VI university, to work on albatross ageing and conservation at the Centre d'études biologiques de Chizé. I had a lot of fun, I worked hard, and risked my relationship with my partner by leaving apart for 5 years! We have now been together for 11 years and I don't regret a thing, But as I became a mum and part of the incredible Homeward Bound Journey, my interests are shifting and I consider leaving academia. If you knew me before you could not believe this is possible for me! I want to find something that makes me more happy. So my advice: know your passion or at least look hard for it, don't lie to yourself, move mountains, kick doors, create and say yes to every opportunity, every training, every outreach event, always be yourself . What else would you like to ask Deborah? Tell us in the comments! Don't forget to follow her YouTube channel, and remember that you can still collaborate with her (earning nice rewards at the same time!). Finally, if you are interested in participating in future editions of the Homeward Bound project, register at their webpage, and follow the project on facebook!